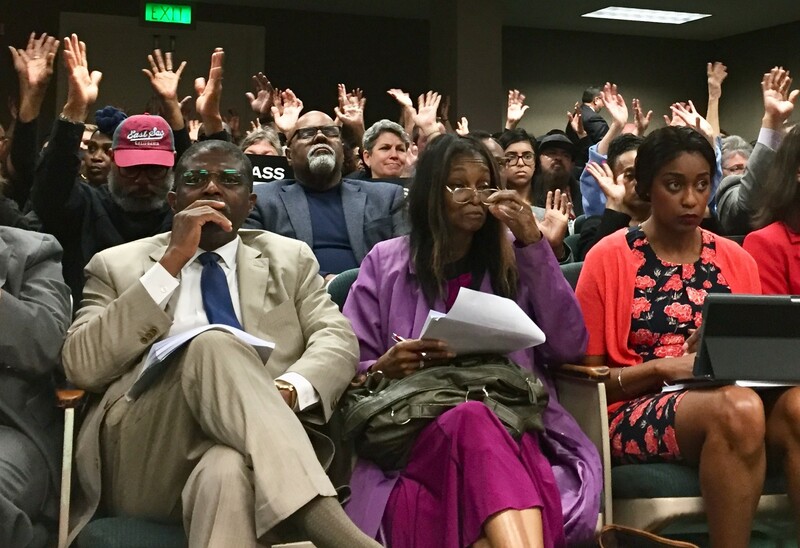 SACRAMENTO – After the deaths of unarmed Brandon Smith, Darrell Richards, Marshall Miles and Stephon Clark at the hands of law enforcement in Sacramento impacted communities of color across the state, an emotional discussion about personal experiences with policing in California and a police reform erupted on the floor of the Assembly Public Safety Committee Tuesday. Community members, activists, students and families of loved ones lost to police violence from Los Angeles to Sacramento packed the hallways of the State Capitol Tuesday morning, wearing shirts that read “Let us live” in support of Assembly Bill 392, which addresses conditions for “necessary and justifiable” use of lethal force by law enforcement. The bill – which passed the committee 5-2 – “requires that officers exhaust all non-lethal methods before using lethal force,” said Assemblymember Shirley Weber of San Diego, the measure’s primary author. During her presentation of AB 392 to the committee, Weber said that five of the cities with the most deaths at the hands of law enforcement in the U.S. are in California. AB 392 would only allow officers to use deadly force if it is deemed necessary to defend against “imminent death or serious bodily injury to the officer or another person,” and those circumstances are determined by the information the officer has in the present situation. It also encourages officers to use tactical repositioning, communication, and other tactics when approaching conflicts or responding to calls rather than considering deadly force as a primary option. An animated two-tiered audience waved their hands to show silent support for witnesses on the floor of the assembly, including retired Los Angeles Police Department Sergeant Cheryl Dorsey and family members of victims of police violence. “Hopefully this bill will give officers cause to use lethal weapons as a last resort, because currently, we are seeing it be used first. In my 20 years in law enforcement, I have felt no restraint in terms of protecting my safety without lethal force and I have also seen poor tactics lead to unnecessary shootings,” Dorsey testified. Opposing witness and peace officer lawyer Kathleen Mastagni Storm argued this bill would only result in law enforcement being “second-guessed and prosecuted,” criminalizing modern-day policing. But all eyes were on assembly members as very personal accounts of interactions with law enforcement gave context to possible votes. Los Angeles assembly member Sydney Kamlager-Dove shed tears while recounting an experience in which law enforcement responded to a call to her home about a possible break in. “I questioned my authority, my privacy, and my safety in my own home which revealed my own trauma. It hurts us all and I don’t want any of us to live in fear,” said Kamlager-Dove. She highlighted the opposition’s point that district attorneys will have the same jurisdictions in terms of prosecuting officers under AB 392, noting “We know that there is a strong, cohesive relationship between DAs and law enforcement” – that rung in the ears of Sacramento community members in the wake of District Attorney Anne-Marie Schubert’s recent decision not to prosecute the officers who killed Stephon Clark after nearly a year of investigation. Some Sacramento activists, however, have expressed mixed feelings about the bill’s effectiveness during a National Lawyers Guild Sacramento Chapter “State of Civil Rights in Sacramento” roundtable recently. Eddie Carmona, legislative director for PICO California, noted that “legislation is only one tool in the tool box” advocating for continued community activism against police brutality. Khalil Ferguson, founder of the Black Student Union at Sacramento State said he “doesn’t care for cosmetic reform” like employing more officers of color, for example. But Carmona, Ferguson and many others showed strong support for AB 392 at the hearing during the mass public comment. While a need for police reform is clear, and the bill has garnered support from an array of organizations including local California chapters of the American Civil Liberties Union and the National Lawyers Guild, many like Carmona and Ferguson feel AB 392 does not go far enough. “This bill requires officers to practice de-escalation, but if officers were held personally and financially accountable for their actions, these killings would have stopped yesterday,” said Dorsey. After hours of testimony, the bill passed through the Public Safety Committee, and it is expected to make a stop in Rules Committee before moving on to the General Assembly. If the Senate agrees, the measure goes to Gov. Newsom’s desk for ratification or veto. 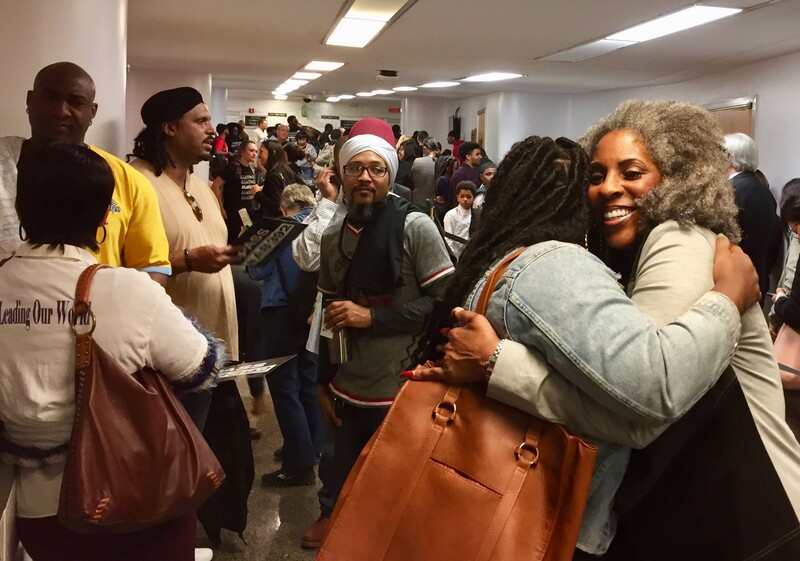 After the passioned testimony Tuesday, and as AB 392 makes its way through the legislative process, there’s no doubt Californians will be watching closely. Next : Commentary: Everyone Has Made Up Their Minds on Mace – but What if They’re Wrong?